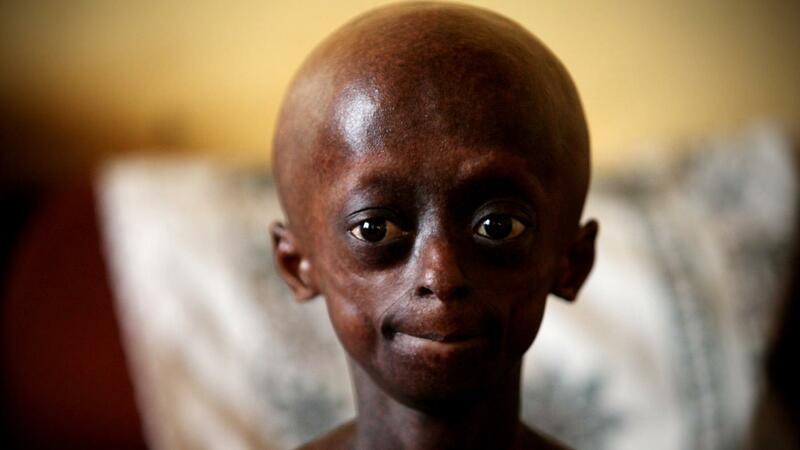 Progeria is a fatal genetic disorder that causes young children to age very quickly. Physical limitations are caused by conditions normally associated with old age, including osteoporosis, and the young patients typically die of heart attacks or strokes by age 13, according to the Progeria Research Foundation. Children with progeria look healthy when they are born but begin showing symptoms in their first year, Wikipedia notes. They fail to grow at a normal rate, and they lose their hair and become frail. The disease stems from an excess of progerin, a protein that is responsible for some of the effects of aging. There is no cure for the disease, but as of Aug. 2014 the Progeria Research Foundation is involved in three clinical trials of potential treatments. How Long Can You Live With Progeria?